It seems to be a fact that the interest on alternative medicine practices has been growing over the recent years. Part of it has to do with people becoming more in touch with their bodies, aware of different energy concepts and spirituality matters; on the other hand modern medicine became so mechanistic that it is no longer trusted by people. Conventional doctors are very much like mechanics, handling their patients like human machines with broken parts; obviously an approach of such kind has a negative effect on someone facing a delicate health condition. When it comes to holistic medicine all the aspects of the person’s life is taken in consideration in order to address his present health condition. The approach will be based on the emotional, psychological, social and physical factors which will be taken in consideration in the elaboration of a healing plan. Difficult health situations can leave people vulnerable hence the need for support. A self-determining force, a vital spark, in which all life originates from. “Nothing is ever static, everything is moving” vital energy makes our hearts beat; our blood flow; our lungs breath, our eyes flickering… Chi for Chinese medicine, Prana for the Hindus, vital force is this amazing source of energy connected with soul, spirit, mind and body. For this reason vital energy plays an important role in holistic medicine and healing. Taking in consideration that illness is an aspect of vital force, sickness should not be seen as something bad but rather an effort of the body to restore balance. Perhaps one should take a step back and take a look at our lives, at our habits. Perhaps it is time to implement some changes, allowing the free flow of vital energy. In the eyes of modern medicine things are quite different, having another opinion about sickness and vital energy they rather think of disease as an obstacle that needs to be fought, totally ignoring the body’s and the nature’s ways. Curiously Dr. Bach used to say that disease occurs when soul and mind are at conflict ultimately resulting in some kind of illness on the physical body. Since the origin of disease is not material thus not originating on the physical body, how can it be “cured” or eradicated resorting to the materialist methods used by our modern medicine? Medical science often concentrates on the physical aspects of illness, what tends to happen with such materialistic-based approach is that people loose touch with their feelings, becoming unaware of the root of the problem. Someone who is facing health issues is already fragilized enough, by focusing solely on the physical aspect of disease will distract their thoughts further from the origin of the problem; form their emotions. It also happens that some modern doctors are known to instigate fear, obscuring the hopes of recovery. Your life experiences get imprinted on your biology. How? Energy generated by emotions is said to take part on cell tissue formation; which creates a energetic language that is able to carry information. Your biology becomes then a sum of your life experiences, from your childhood to the present day. As your life goes on your physical health becomes a living statement of your strengths and weaknesses; hopes and fears. First of all is worth to explain that healing and curing are not exactly the same thing. Curing rather focus on the eradication of an illness, by controlling it; unfortunately that does not necessarily include working on with emotional and psychological stresses that were part of the illness. The curing process is generally passive, as the patient gives over authority to the physician, almost like discarding his own responsibility, handling over his health to someone else to take care of. On the other hand healing is an active process that needs to be worked out internally; our attitudes, memories, beliefs, and relationships need to be investigated in order to release all the negative patterns in our lives that are often responsible for our well being. Can healing be influenced by our basic philosophy of life? Here is where we see the big difference when it comes to overcome difficult life situations. Our inner strength, our will power helps us taking responsibility for our own health and life in general, which then empowers us to accept all our life experiences and work from there. One of the obstacles often found in healing is our own self. Hard to believe but healing will not take place unless we allow that to happen; unless we are ready to accept it. There are times that one is not ready to allow healling to take place; maybe we are not ready for those changes; maybe we are not accepting it and become resistant towards it. Healing becomes a process then, a learning journey about our deeper self. “No one can heal you unless you truly wish to heal”, healing is not that simple and usually it will not take place if someone is being pushed into something they do not want to do. As an holistic medicine practicioner I often found myself tempted to offer my help to whoever crossed my path in the need for help, but soon I have learned that it is not that easy to help someone who is being resistant to healing, and would rather remain sick than implement changes in their life. There are times that I can simply advise, and give the best support I can in order to inspire the patient to take correct action towards healing. Positive reinforcement works the best, as sick people are often very fragile with little self confidence. We are holistic beings; our mind, body and emotions cannot be detached from another but rather be in harmony with each other. The search for well being and healing needs to come from within, one cannot simply handle someone else our health problems; they are of our own responsibility. We have created it consciously or unconsciously, therefore is up to us to face the consequences and use it as a deep learning experience. 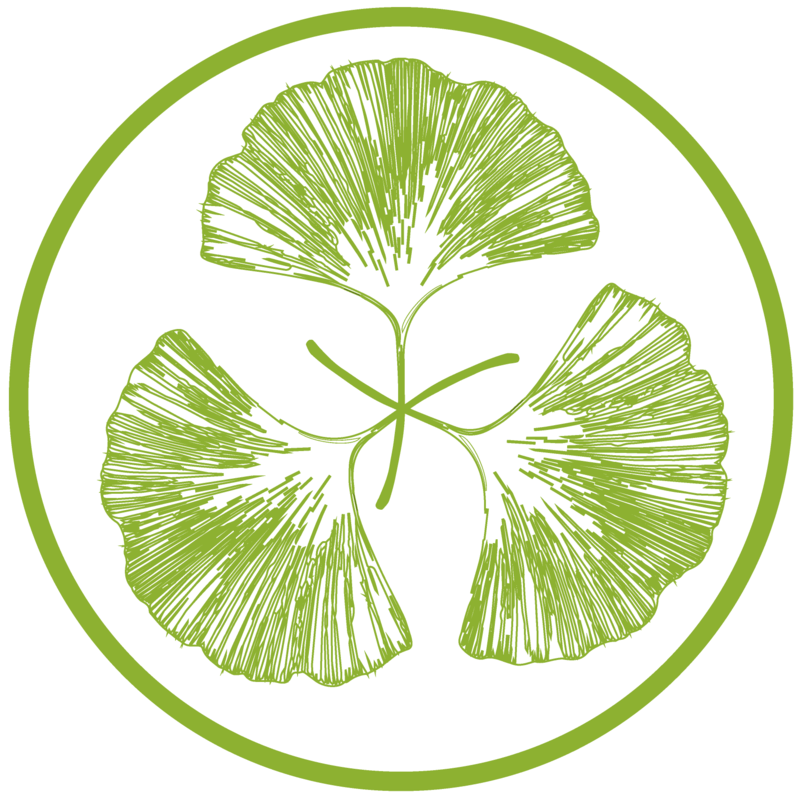 Ginkgo be Loved is just getting started. There is a lot of love, time & dedication involved in this project. We would love to dedicate ourselves full time to this dream. You can helps us by making a small donation. Thank you! Stenger V. J. The physics of alternative medicine. Sleeman J. Health: The Casualty of Modern Times. Kahan D. Hans Adolf Eduard Driesch. Frankl V. Logotherapy. Available at: http://www.logotherapyinstitute.org/About_Logotherapy.html.